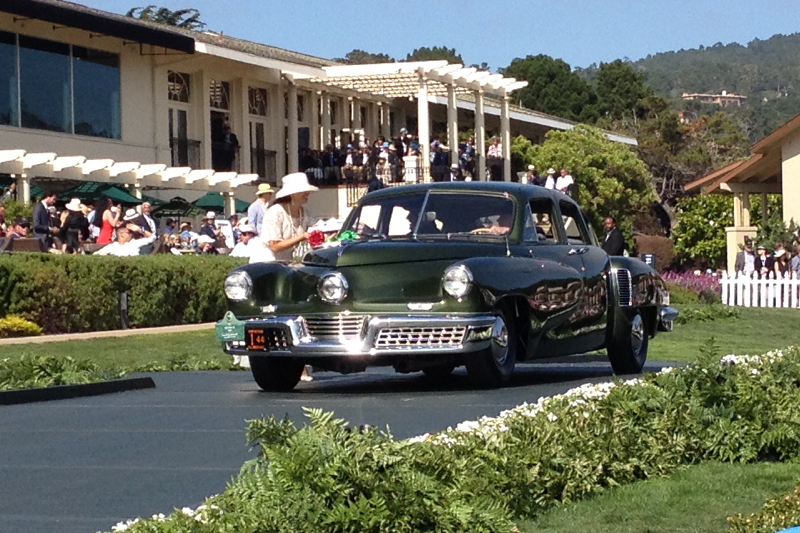 Anthony Ruzicka has forwarded four photos documenting the ceremony for the three award-winning Tuckers at the 2018 Pebble Beach Concours d'Elegance. 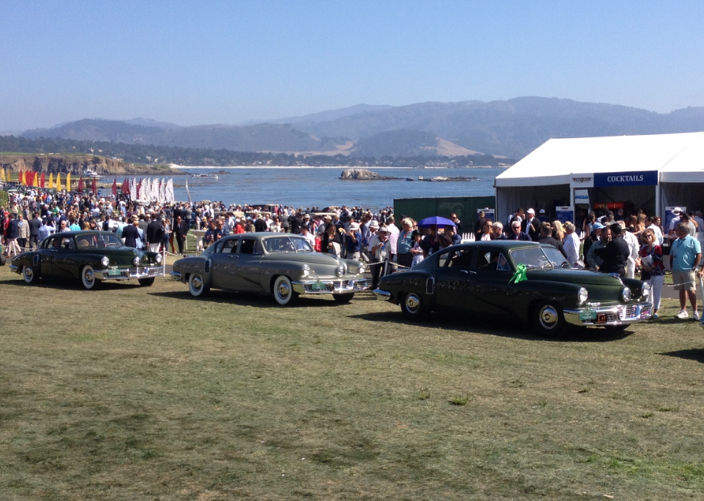 The three award-winning Tuckers were first randomly lined up (from right to left: Tucker 1044 (Howard & Roz Kroplick), Tucker 1009 (George Lucas) and Tucker 1015 (Mary and Ted Stahl). 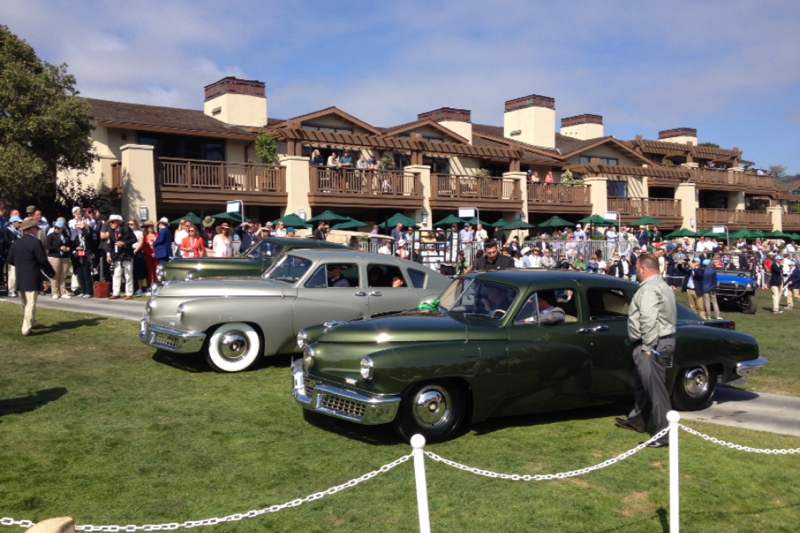 The three Tuckers were then randomly lined up side by side. At this point, the Tucker owners still did not know wthe order of the judging. Like the Miss America, you are hoping that your automobile is called last. Sean Tucker can be seen standing next to Tucker 1044. This video shows the view of the awards ceremony from inside Tucker 1044. You can feel the tension as Tucker 1015 is announced as "Third in Class" and the disappointment when the judge points to Tucker 1044 as "Second in Class". Another wonderful photo by Anthony Ruzicka showing Tucker 1044 receiving its award. What a great moment! Congrats again!